Iowa, located in the Midwestern region of the United States, is home to over 3 million people. It makes the perfect home for those who cherish quiet living and a slower pace. The state makes a great place to retire or raise a family due to its low cost of living and affordable housing options. 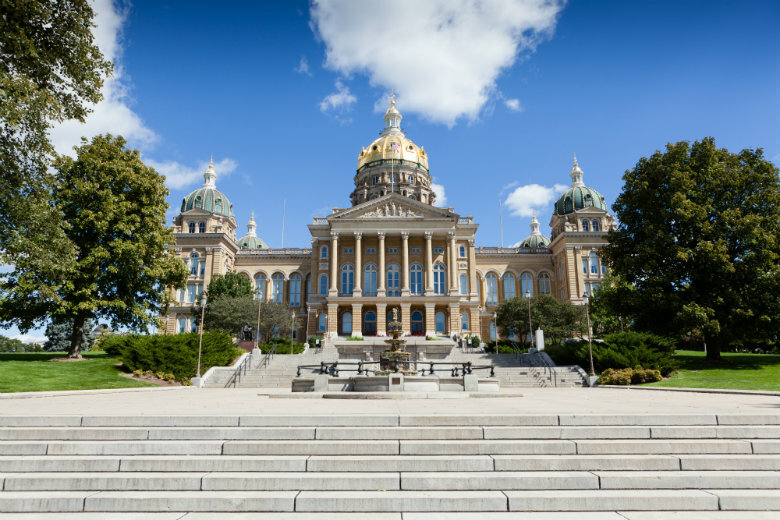 If this appeals to you and you are considering relocation or an extended stay, visit Iowa. Consider National Dispatch for your auto transport needs. We offer a wide range of services to help make your transition to a new state, easier. Below, you will find two of the car shipping options that we offer. Open Auto Transport is our most frequently used service. With this transport method, your vehicle will be placed on a car carrier that holds up to nine vehicles. The car carrier is open-air, so the vehicle will be exposed to weather and road conditions. However, because this is the most requested service, it is the most cost-efficient and time-efficient method of car transport. To further protect your car during Open Auto Transport, you can request top-loading. This will make it so that your vehicle is loaded on the upper level of the carrier, reducing encounters with dirt, dust, and grime. This method of car transport is very similar to Open Auto Transport. The major difference is that instead of having your vehicle on an open-air car carrier, your vehicle will be in an enclosed carrier. This protects it from most all weather and road conditions. Enclosed Auto Transport is one of the safest methods of transporting your car. We highly recommend this option for anybody who is transporting a high-valued car, such as a classic or exotic vehicle. Where Should I Go In Iowa? Once you have chosen which service to use and have gotten your car safely to its new destination, then it is time to have some fun! Below, you will find five different spots in Iowa that are sure to bring a smile to your face. Snake Alley, in Burlington, is known as the world’s most crooked street. It consists of five half turns and two quarter turns spanning only a distance of 275 feet. It was constructed in 1894 by three German men who were inspired by the vineyard paths in France and Germany. The road was built to help locals navigate the steep terrain leading into their downtown business district. Before this road was constructed, travel to and from the business district was tiresome and extremely difficult. The road itself, is constructed of limestone curbs and locally-fired blue clay bricks. The construction was a challenge because of the constantly changing slant, but the craftsmanship was so sound that the road still remains in great condition today. It remains a landmark of heritage for the people of Burlington. This local farmers market in downtown Des Moines is not only family-friendly, but it supports local vendors. Over 300 vendors come to the market representing 50 Iowa counties. The market sits on nine city blocks and offers a wide range of items including flowers, wine, cheese, baked goods, eggs, Iowa-raised meat, and more. During your visit, you will be able to enjoy local musicians, artists, and street performers. The traditional farmers market is open every Saturday from May to October. The Winter Market is held over one weekend in both November and December. The Winter Market is much more seasonal and helps shoppers stock up on all of the holiday essentials including food, decorations, and gifts. When visiting the markets there are a few tips to keep in mind. First, bring a bag, or several. This will prevent you from having to carry several small grocery bags. If you are planning on buying anything perishable such as meat, cheese, or eggs, make sure to bring a cooler. You do not want your fresh ingredients spoiling before you get home. It is also suggested that you wear comfortable walking shoes and appropriate attire. The market is open rain or shine, so dress accordingly. Movie lovers will love this tourist destination. This farm, located in Dubuque, used to be the quiet home of Don Lansing. However, Don Lansing’s life drastically changed in December of 1987 when someone from the Chamber of Commerce knocked on his door and said that they wanted to use his farm to film a movie. It became known as Field of Dreams and was a major hit. The site is now open to the public with free admission to the ball field. Tours are available, but by request only. Before you leave, you should check out the gift shop to commemorate your visit. The Grotto of the Redemption, in West Bend, was built in the late 1800s or early 1900s by Father Paul Matthias Dobberstein. Father Paul Matthias Dobberstein is from Germany, but emigrated to the United States. He entered seminary and became a priest. He became the appointed pastor of West Bend Saints Peter and Paul Catholic Church. He was there for 57 years. The grotto was rumored to be built after Father Dobberstein became really sick before becoming the pastor of West Bend. He supposedly prayed to the Blessed Virgin Mary and promised that if she interceded for his health he would build her a shrine when he was better. The illness passed and he began gathering stones. The final product began to take shape in 1912. The site provides tours and has several areas that guests can camp out at. The campgrounds provide guests with electrical hookups, firewood, showers, water and sewer dumps. This 25-mile long trail, starting in Ankeny, is a show stopper. The trail includes a 13 story high bridge that crosses the Des Moines River. This bridge is one of the largest trail bridges in the entire world. The trail is open 24/7 and admission is free. Walking the bridge is one of the locals’ favorite things to do. However, if you go at night, make sure to bring a flashlight, because the walk from the trail to the parking lot is not lit. 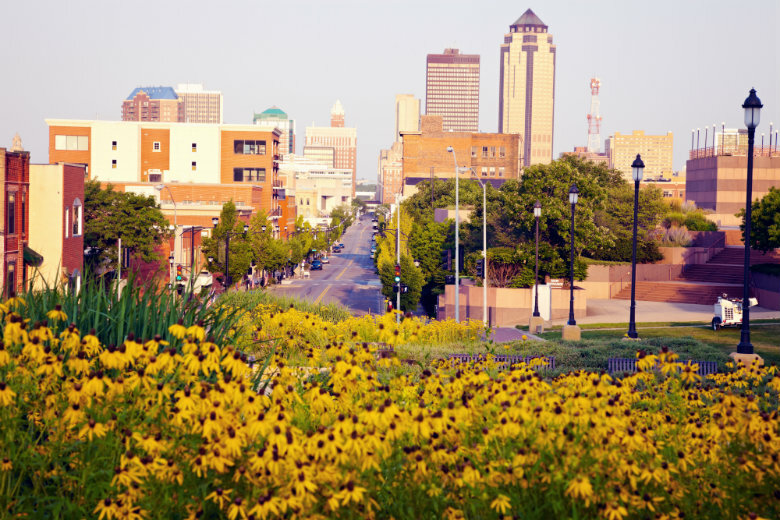 Are you convinced now that Iowa is the place for you? Whether you are planning a move or an extended vacation, we have just the car shipping services you are looking for. Request a free, instant car shipping quote by using our online quote calculator. No personal information is required. If you prefer to speak with a representative, call us at 800-321-2051.